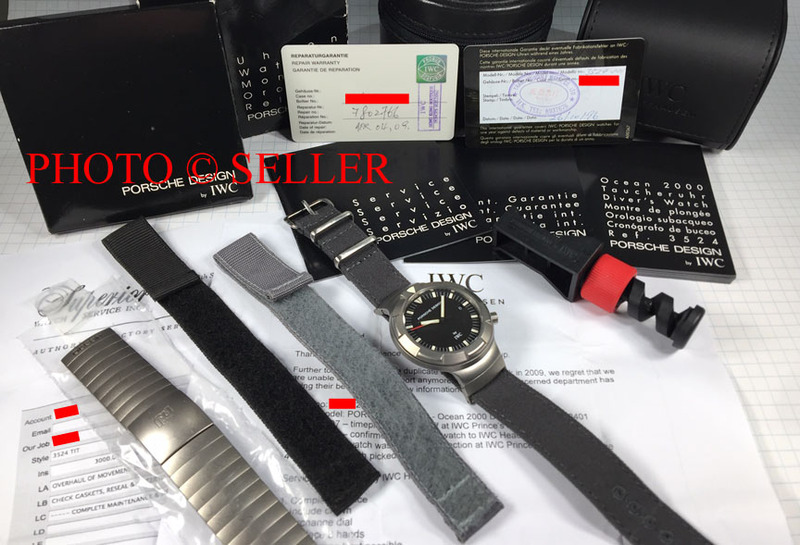 TimeZone : TZ Showcase » FSOT: IWC Ocean 2000, SUPER RARE 3524, Complete Set, Service History, Extra Straps, LOTS OF PHOTOS! 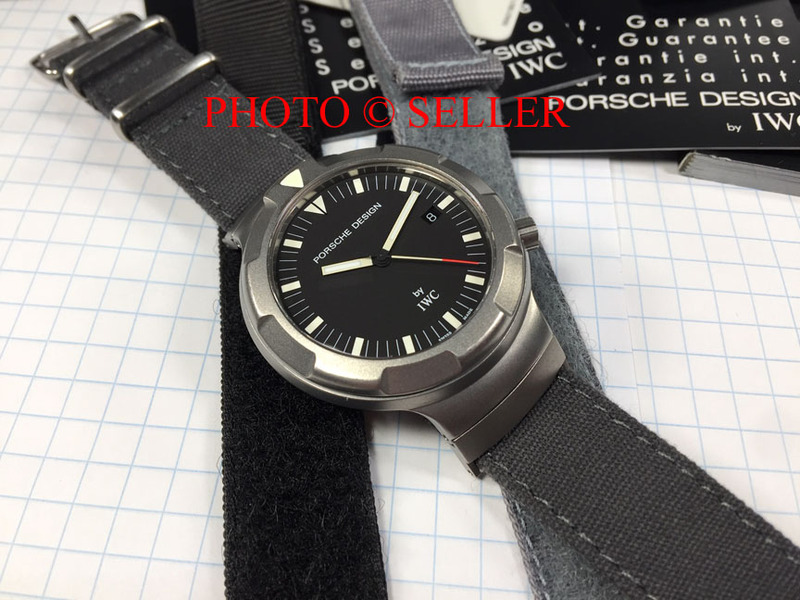 Up for sale is a hard to find IWC Ocean 2000 model #3524. These are incredibly rare watches and I've never seen one with such a complete set. It is in great condition and very clean. 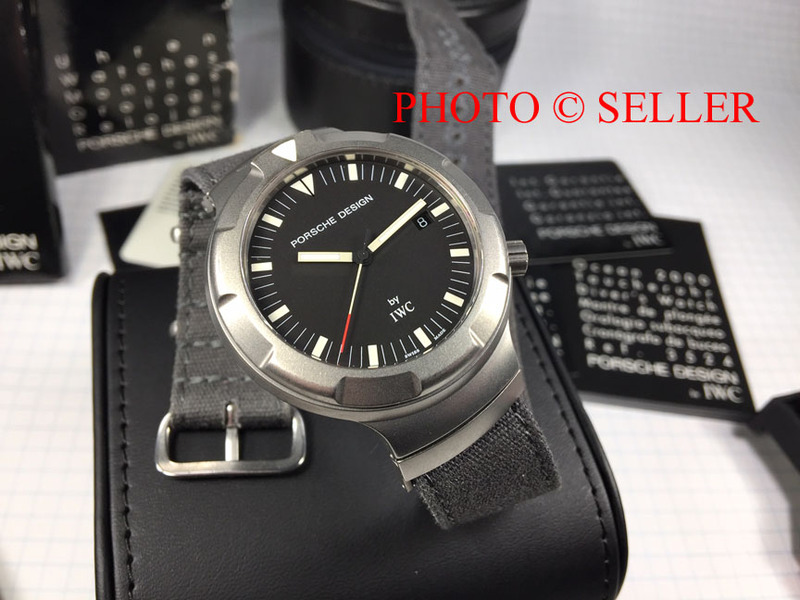 One of (if not THE) first 2000m dive watches and certainly one of the first in titanium. 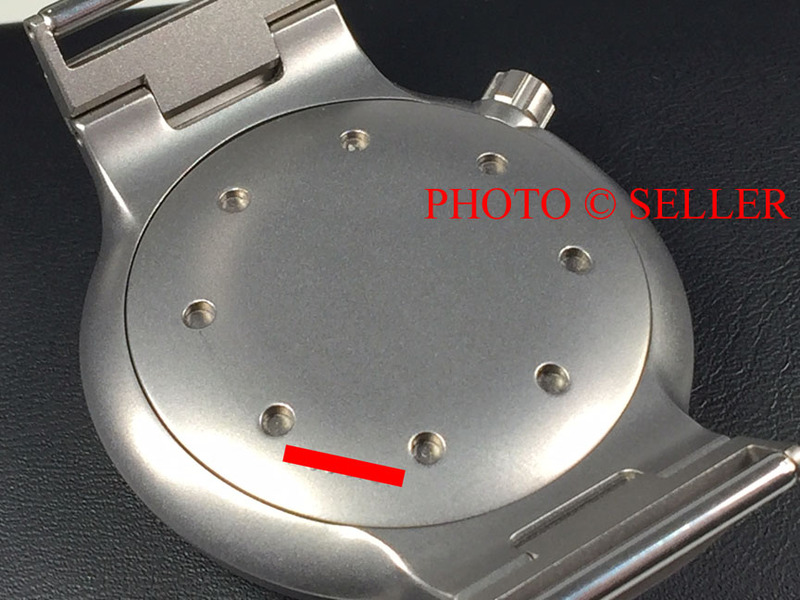 Crystal is a whopping 3.7mm thick while the whole watch is only 10.5mm thick. With the 42mm case size it has great wrist presence, but such a smooth and comfortable design when worn due to the titanium. 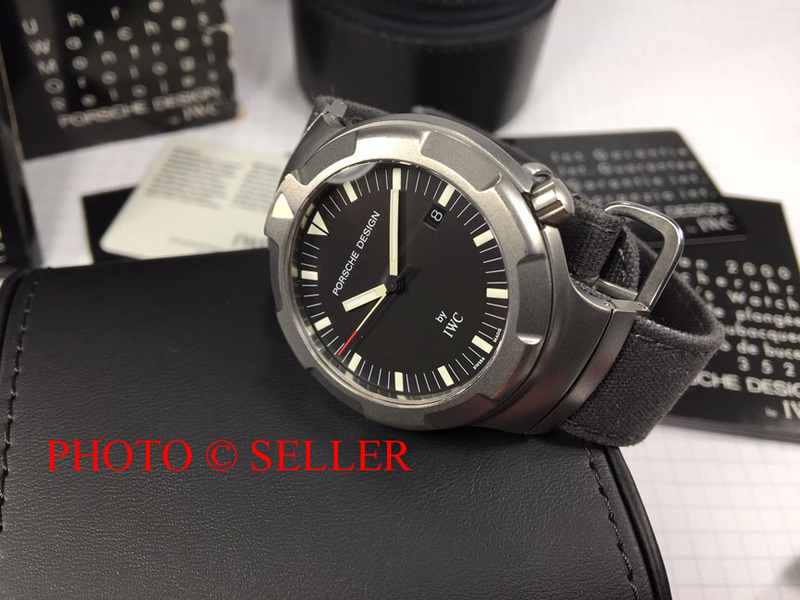 This design ultimately lead to the later GST Aquatimer series. 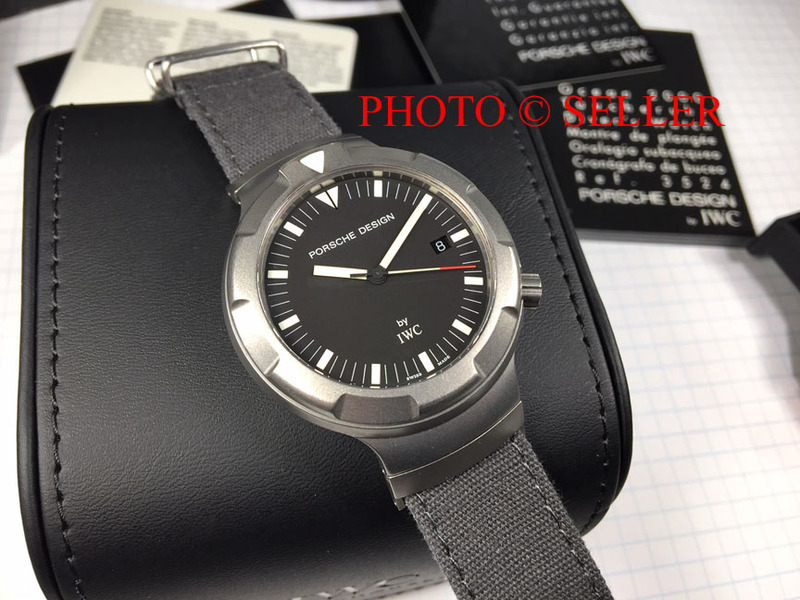 A watch with special horological significance, as well as an incredible important original design from Ferdinand Porsche for the West German Navy. I believe it includes everything you would get from an IWC dealer brand new: Outer Box, Inner Leather Case, All manuals, Original Warranty Card, Service Card, Paperwork records of two previous services, Original Bracelet Tool, Dive strap End links, Original Gray Velcro Strap, An extra OEM IWC Black Velcro Dive Strap, Original Bracelet (Version 3), IWC Travel/Service Case. I may even have a brand new IWC hat if you would like. The Dive Strap end pieces allows for the quick-change use of ANY 20mm strap, so it is currently with a very nice aftermarket canvas NATO. 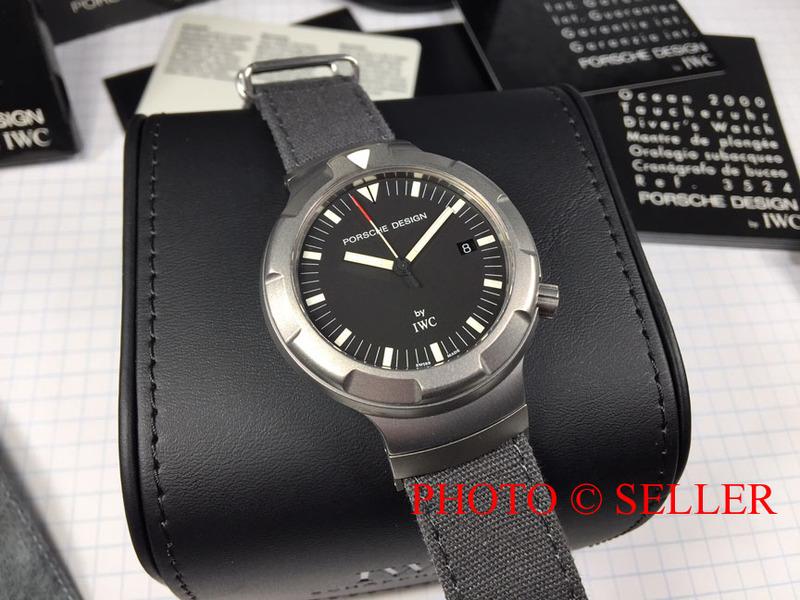 I have tons of feedback and references dating back well over a decade for high-end watches. Face-to-Face in Baltimore/DC/Philly possible. Also, I will be in NYC/Northern NJ this weekend (March 30-April 1) for an in-person meeting possible there as well. 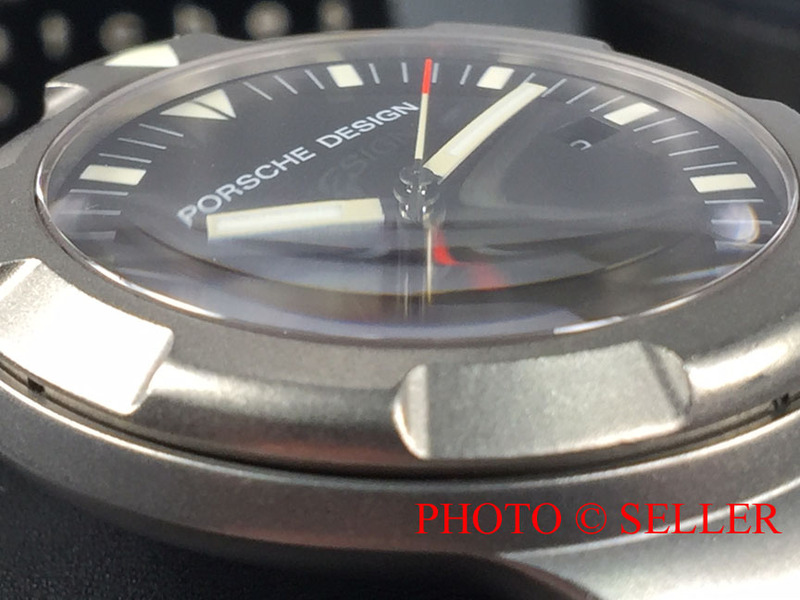 Trading down (plus cash) for Rolex sport models can be potentially discussed.